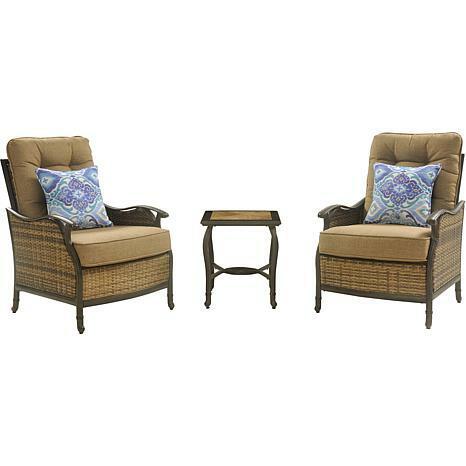 The Hudson Square 3-piece deep-seating set creates the perfect lounge area for small space styling. 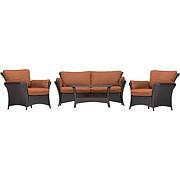 This set includes two stationary arm chairs and an 18x18 in. side table. 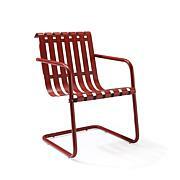 The Hudson Square collection combines classic outdoor styling with durable cast accents on rust-resistant aluminum frames. Inlaid ceramic tile creates a natural stone appeal to the table top while two decorative toss pillows add extra comfort and flair to each chair. 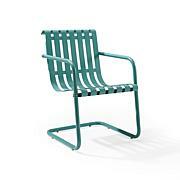 Intricate multi-color woven wicker panels add to the timeless look of traditional outdoor comfort. Each foam cushion is wrapped with premium woven fabrics that provide a plush linen feel with long-lasting durability. 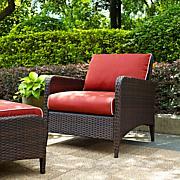 These teak colored cushions are quick to dry and are protected with a special UV treatment to resist fading and moisture while out in the elements. Weight: Chair approx. 28 lbs. Tables approx. 13.23 lbs. This set is just absolutely gorgeous and definitely a conversation piece. The assembly was a bit challenging but it was completed in 30 minutes. The box was well packaged and it was delivered in a timely manner. I cannot wait until spring/summer to really enjoy the set. Having two patios, I wasn't sure of what to get but the lounge set fits perfectly with the stone on my home. Well made and constructed and with this Texas wind, only had to bring in the pillows.